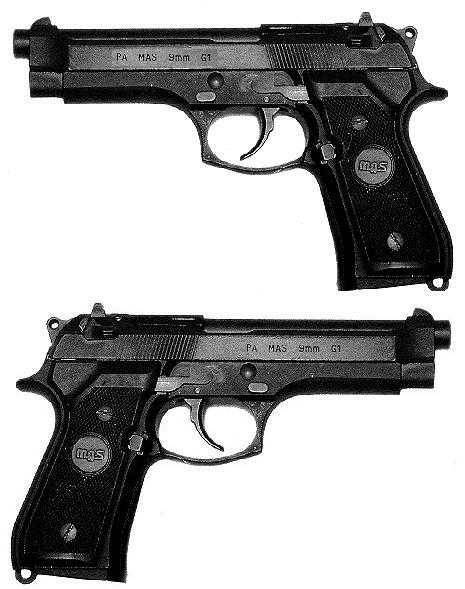 A 9x19mm-Parabellum semi auto combat handgun, the French copy of the BERETTA M92FS. It has a 16-round capacity, can fit Beretta magazines, and is the regulation sidearm for French Army, Gendarmerie, and National Police. It has been also reported to be in use with the GIGN (French elite counter terrorism team).